Farmer, MP (1922-1925), MLA (1927-1932), MLA (1933-1936). Born at Enniskillen, County Fermanagh, Ireland on 12 September 1883, son of Alexander Hoey and Jane Beatty, he came to Canada in 1909 where he attended Wesley College (Winnipeg, BA). He became involved in the Manitoba farm movement and was appointed Field Secretary of the United Farmers of Manitoba in 1919. Two years later, he was elected to the House of Commons for Springfield, sitting until 1925. 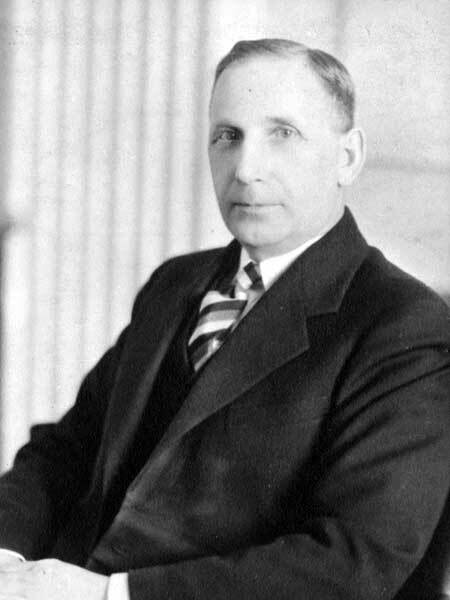 He was elected to the Manitoba Legislature for St. Clements in 1927 and was re-elected in 1932. During his tenure, he served as Minister of the Executive Council and Minister of Education (April 1927 to September 1936). After his electoral defeat in 1936, he became Superintendent of Welfare and Training, Indian Affairs Branch, Department of Mines and Resources at Ottawa (December 1936 to March 1945), and Director of the Indian Affairs Branch (March 1945 to September 1948). He served on the Council for the North West Territories from 1946 to 1951. On 7 December 1917, he married Violet Ena Brett. He died at Ottawa, Ontario on 15 November 1965.